Bree Suede Boots Extra Wide Fit is rated 3.8 out of 5 by 5. 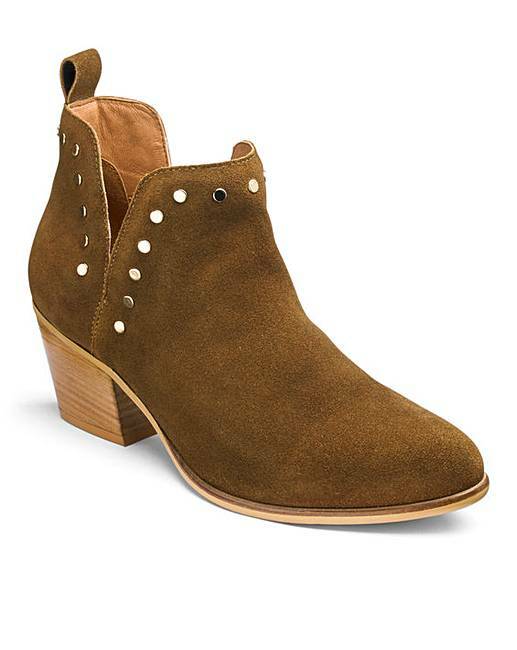 This suede western ankle boot wiith stud details and a cut out at the ankle. 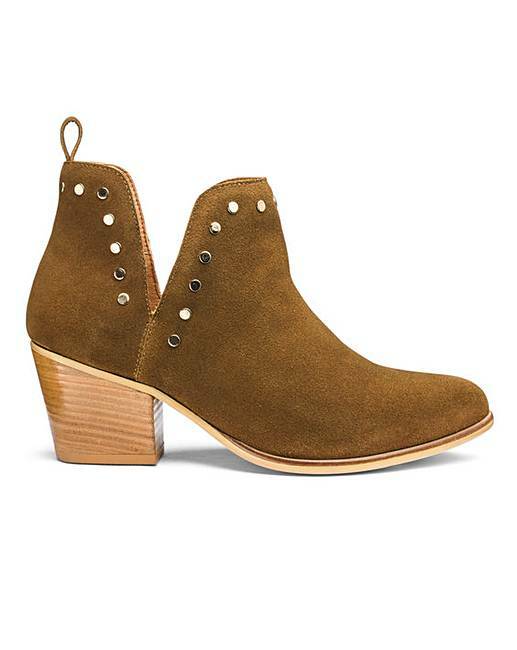 This is the perfect boot to add a little extra to any outfit. Upper: Leather. Linings and sock: Textile/Other Materials. Sole: Other Materials. Rated 5 out of 5 by KK32 from Love these! I can see why some think these are not wide enough but as I often find the wide a little too wide (but a standard fit not quite wide enough), I loved these. 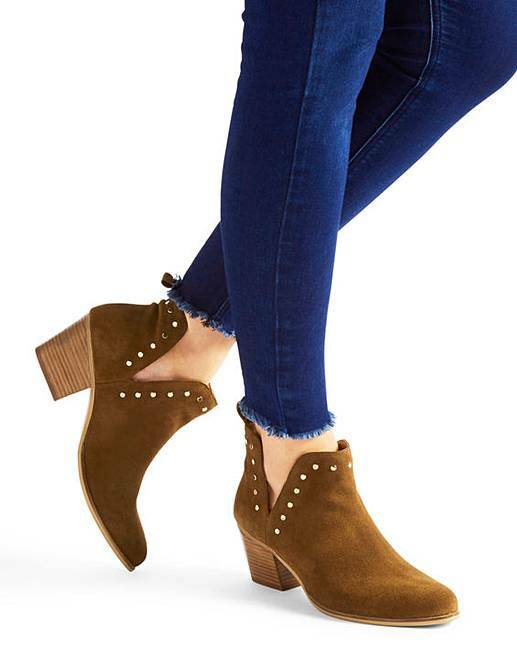 The open design around the ankle means they aren't tight around the leg and are therefore very flattering for those of us with not so "slender" legs with usual ankle boots. Great height and look very fashionable too. I ordered both the tan and black and was tempted to keep both as both look great but felt the black a little more classy and I will get more wear out of them (I'm sure I may regret not keeping the tan colour shortly). I wear a lot of black leggings and these look great with them - very pleased! I'm a size 8 (a true 8 i.e. euro 42 not the 41 that some online stores state is an 8) and these fit perfectly. Rated 5 out of 5 by Emma from A comfy fit. These boots are so comfy and versatile. I’ve worn them with various different outfits and they always look and feel fab. 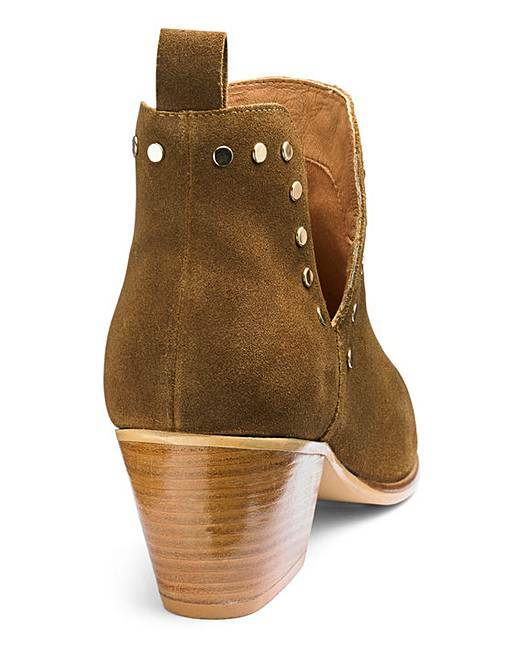 Rated 3 out of 5 by Pjmay from Too Narrow This is a lovely boot but not EEE fit, could not get my foot in. 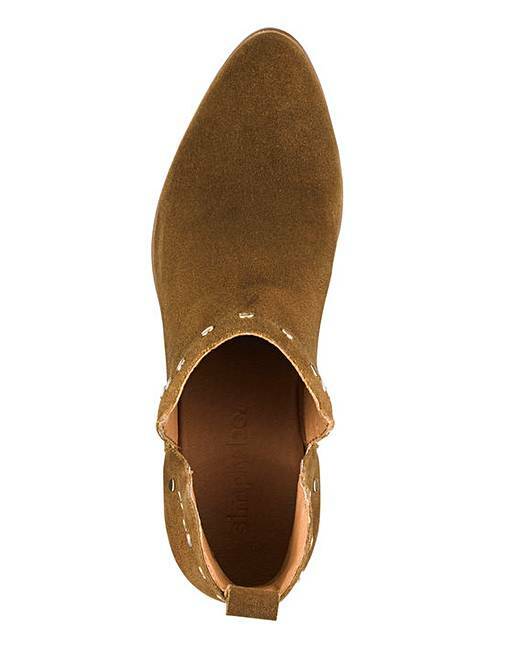 Disappointing as finding fashionable leather/suede boots at a reasonable price is rare.